MyPCBackup uses a small desktop application to back up your computer contents to our Google powered storage cloud. 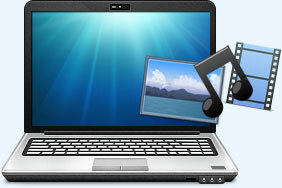 We can automatically back up files in the background whilst you use your PC. Your files are constantly backed up and you can access them at any time, from any device in the world if you are connected to the internet. Videos & File Sizes over 1GB will need to be manually backed up to your account. 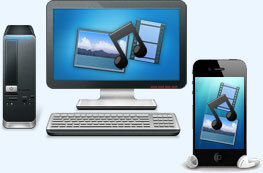 Click 'Play' on the video to see what MyPCBackup can do for you. MyPCBackup will backup all of the files and folders that you choose. Once the initial backup is complete, MyPCBackup will automatically save any changes to your files or backup any new files added. You can set your backup schedule and MyPCBackup will run in the background, without you having to do anything. MyPCBackup automatically backs up your files to the Cloud at the same time every day. You can also run a backup whenever you choose if you have something you need protected urgently. All data transferred to the cloud is incredibly secure and is protected by a 256 bit SSL encryption. MyPCBackup stores your files in its cloud. Your files are not only safe and secure, but they are also accessible from any device, anytime, from anywhere in the world. MyPCBackup has completely eliminated the need for a USB stick, all of your files are now with you wherever you go.